Field Season 2014 will run from July 7th through August 12th, with the field school running from July 14th through August 8th. We will be welcoming volunteers every day throughout the season, even when the field school is running. 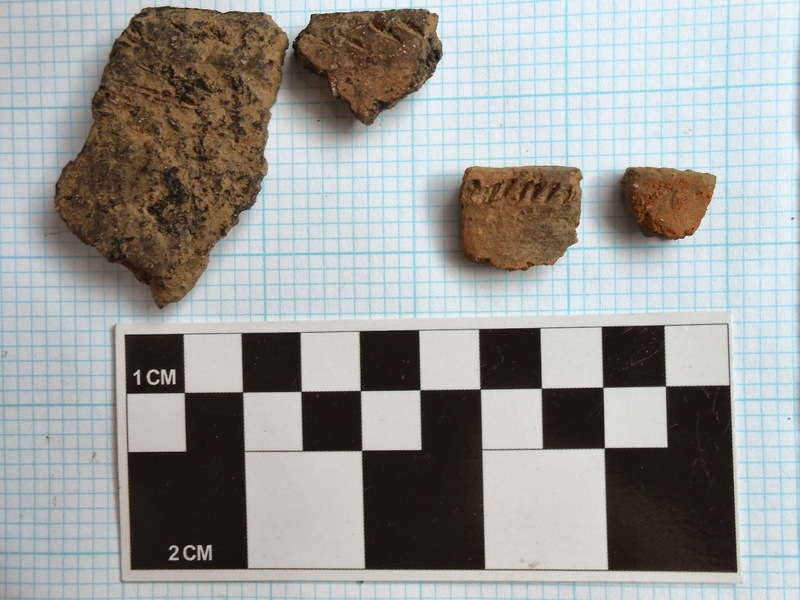 Here are a handful of rimsherds that represent at least 6 unique pots from the 2013 field season at Bockmier One. 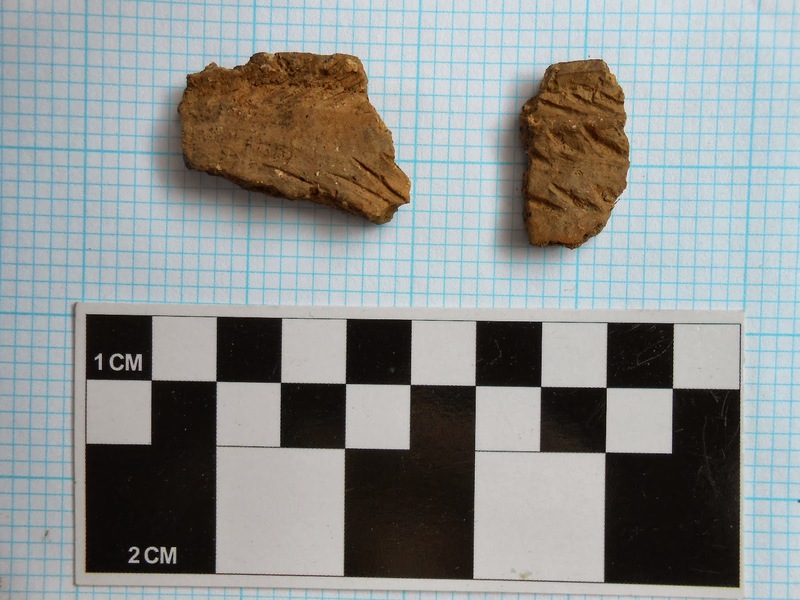 Smaller rimsherds such as these are far more common than the large sections that we discovered in the pits. 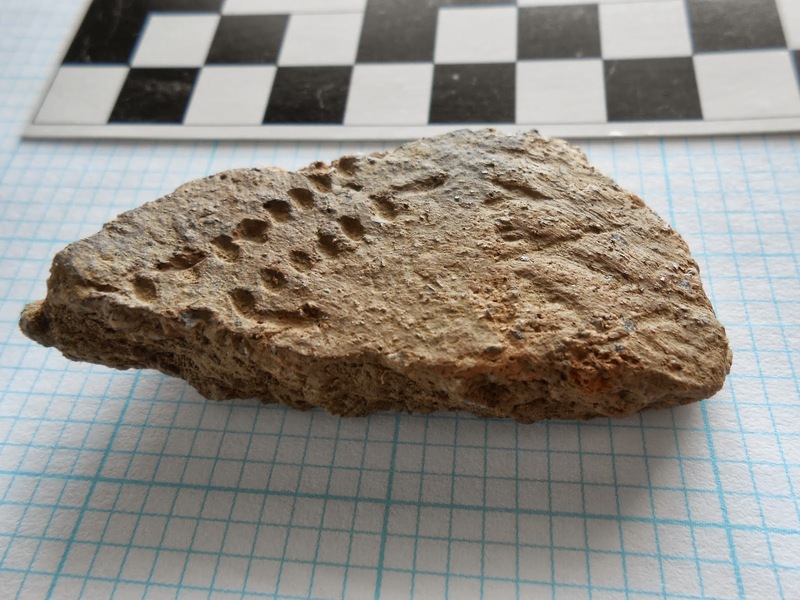 Most of these are decorated with Ontario Oblique motifs. 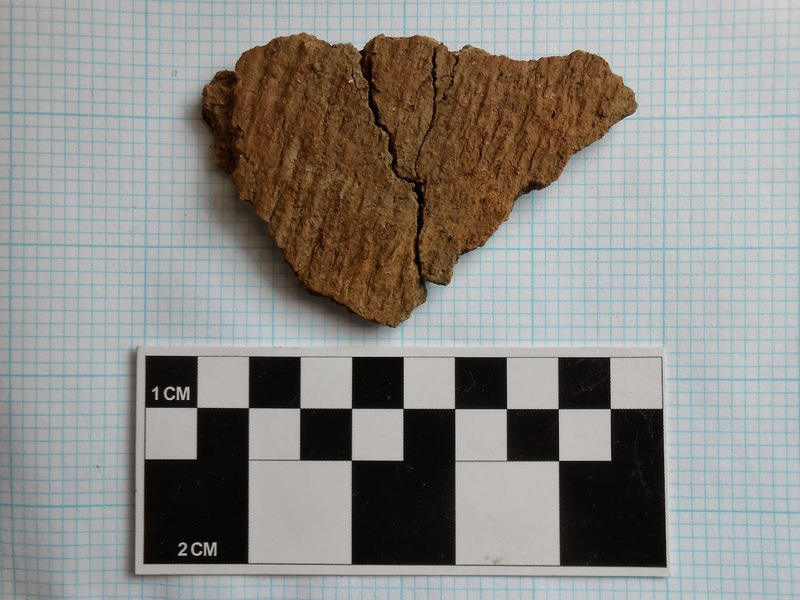 These cordmarked fragments may be sections of the bowl of the pot known as Pot 'A', described in an earlier post below. 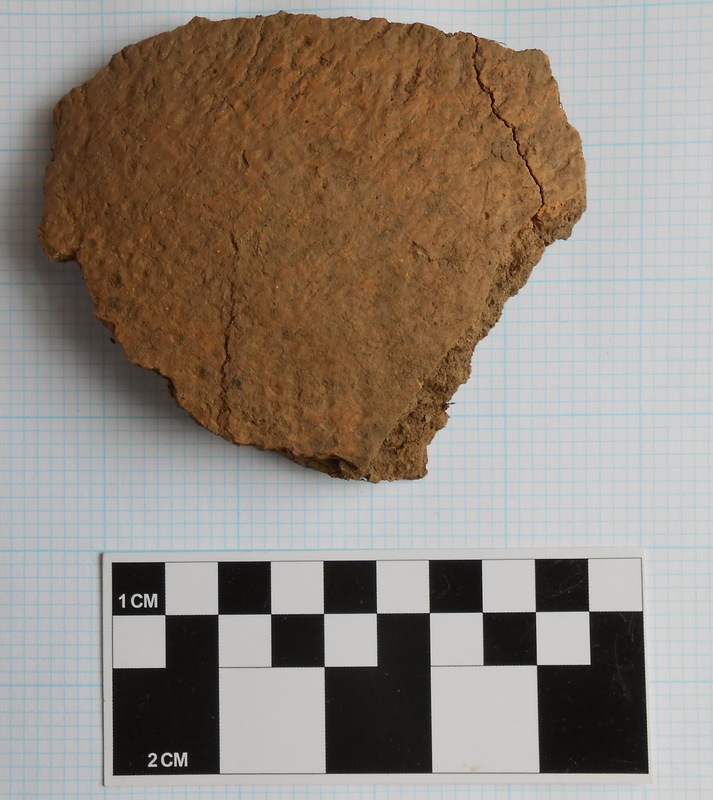 These and several smaller cordmarked potsherds were collected from the same units as the neck and rimsherds. 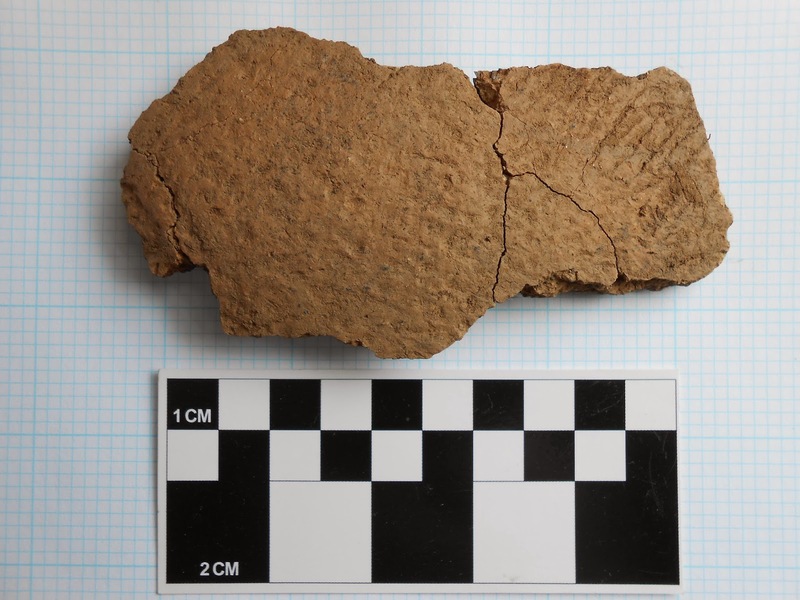 If they are from the same pot, they collectively represent another large section of a pot, despite the context in which they were found - mostly within the plow zone. There is, of course, the chance that more of the pot remains in the units to the west. 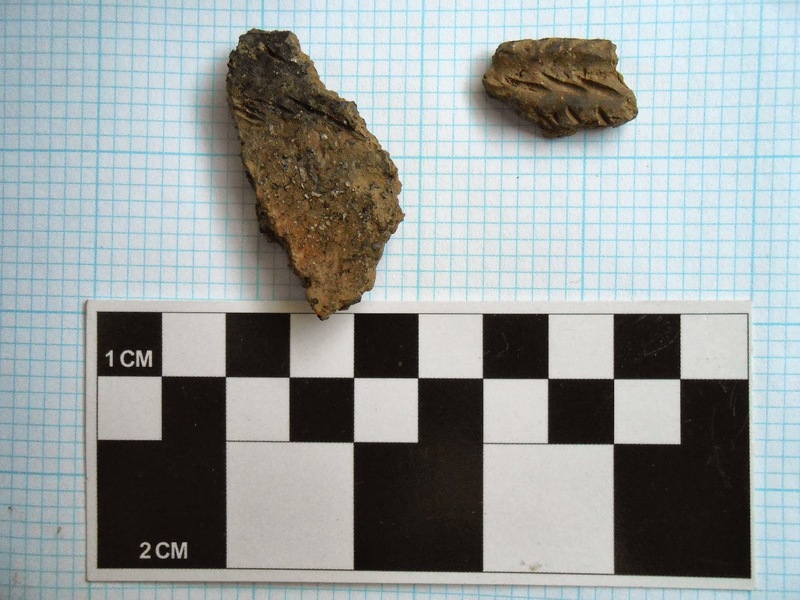 The fragment below, while similar to those above, was found a few meters to the west. 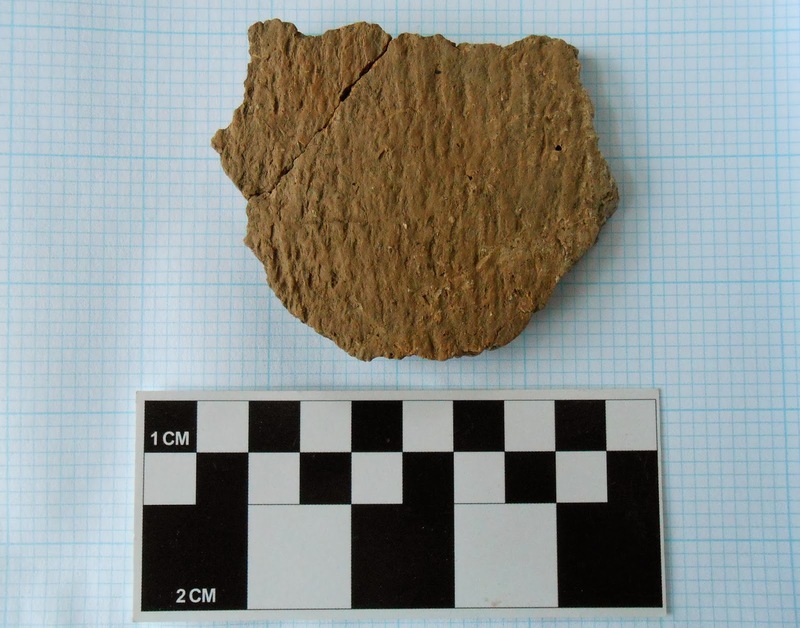 It still may represent a section of the same pot, but more likely represents another pot that was similarly produced. 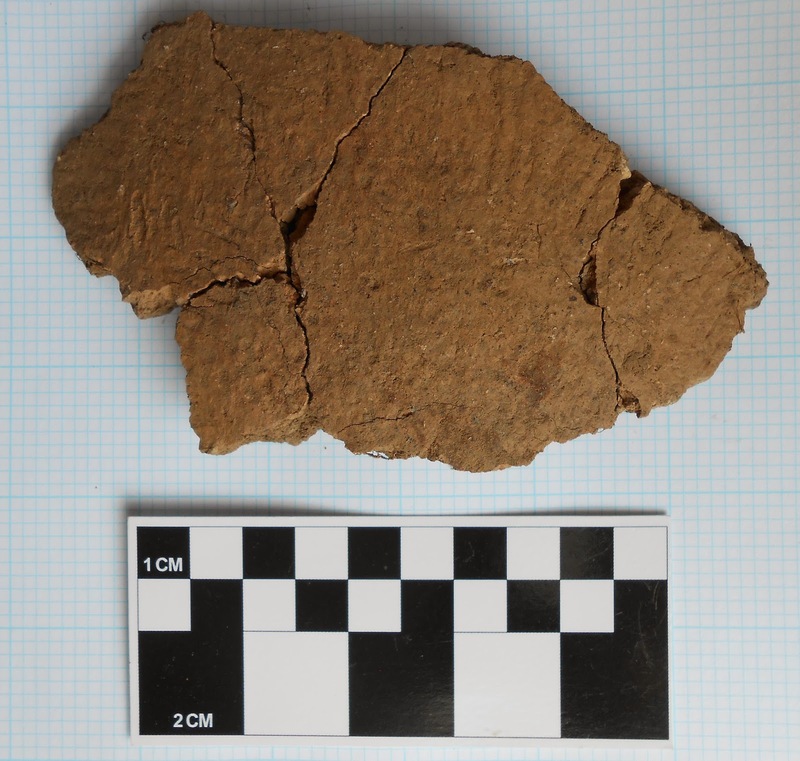 This was found adjacent to a large rim and shoulder section, but its thickness and temper composition suggest that the two sections are from different pots. 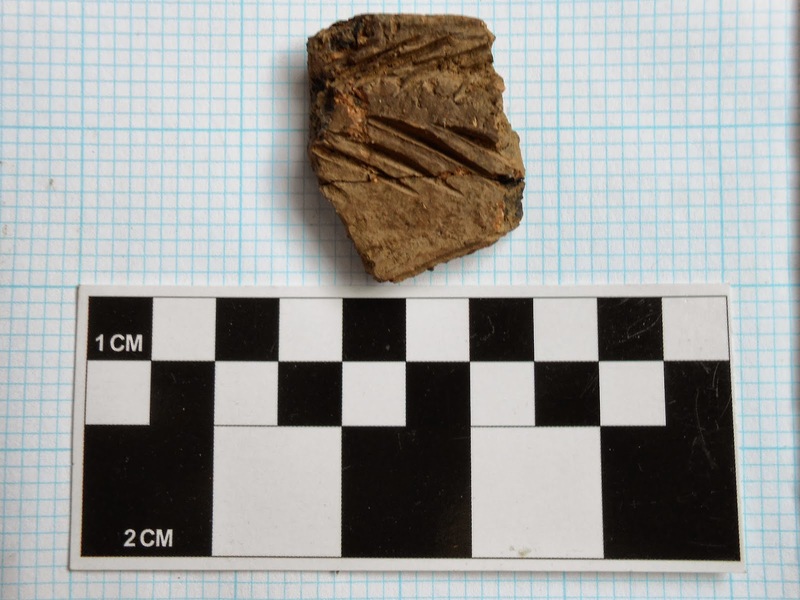 The newsletter pottery discussion was bumped to the next issue, due out in early January, so in the mean time, I'll be posting some bits of pottery information here from time to time. 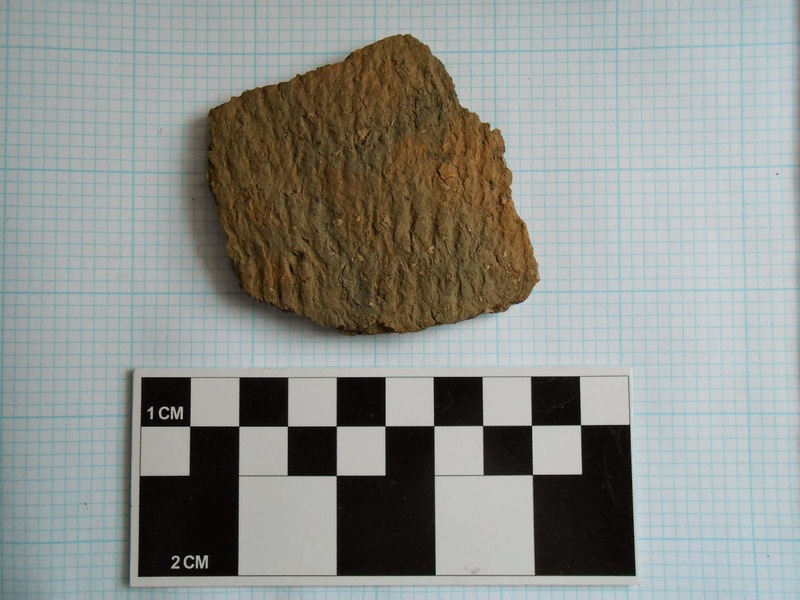 First up is an interesting potsherd from the transitional area of a grit-tempered pot, between the neck and shoulder. The body of the pot, beginning at the shoulder, is cordmarked, while the neck is smooth, with two parallel tracks of impressions known as punctates running diagonally from the shoulder presumably to the rim decoration. Rims have yet to be identified for this particular pot.